Choose from one of our cabins or stay in the Homestead in our BnB. Our cabin accommodation is cosy and warm for winter guests or bright and breezy for summer. The trout stream is just a step or two from your doorstep. Each of our cabins are fully self-contained with everything provided except food. Towels, sheets, blankets, pillows, doonas and spare blankets are supplied. Solar lighting, gas cooking and hot water fit with the bush setting. Platypus cabin has two rooms, each with its own little pot belly style wood fire (gas stove and refrigerator) that keeps the cabins very warm at night. The verandah overlooks the most beautiful part of the stream where you might just spot a platypus playing. Platypus cabin has two double beds in separate areas and room for two others. It is ideally set up for a family of five or for four singles. Trout cabin has a double bed and two singles. It has a romantic open fire and the rustic chimney was especially built to evoke the charm of yesteryear. Trout cabin also overlooks its own private pool with views to the hills beyond. Milani Bed and Breakfast is located in the homestead with its own garden entrance. It is suitable for a couple and has a little kitchenette and a TV. All meals are with your hosts Lynne and Wal in the dining room and a two course dinner is an optional extra. Decor is traditional with a touch of the East reflecting your host's love of travel. You can try your hand at trout fishing anytime of the year or take a guided bush walk or follow a bird or wildflower trail. Views from the garden let you appreciate the full beauty of the Australian landscape. 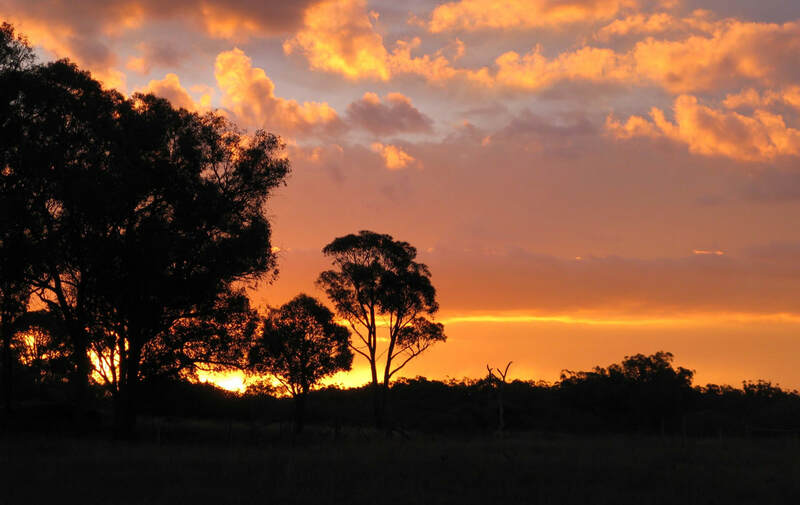 Caravans, camper vans and R/Vs are catered for with a shady grassed area near Laura Creek. There is a toilet and shower and one powered site. Its a quiet spot with lots of bird life and you can get away from the crowds. If you want to come in a group around six vans will fit comfortably. At sunset you can join your hosts to enjoy this view with a beveridge in hand.